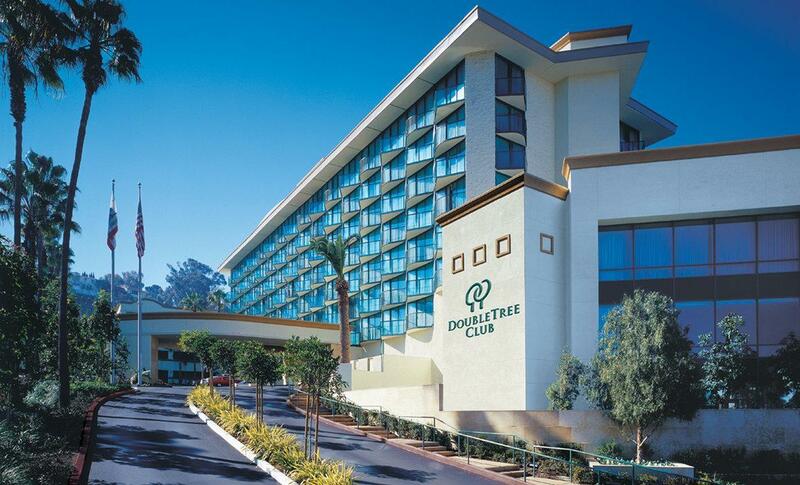 Have a question for DoubleTree by Hilton San Diego - Hotel Circle? 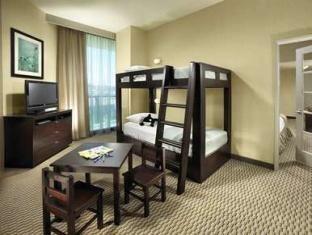 This international class hotel, situated near Sand Diego State University, is located 10-minutes from the airport. 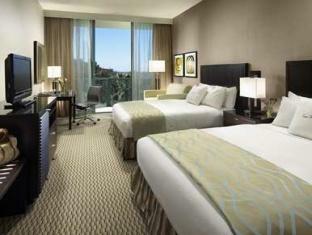 The hotel is situated across from the Riverwalk Golf Course and the Mission Valley and Fashion Valley Malls. Guests will enjoy easy access to a multitude of fascinating sites, including cultural, historic, and tourist sites as well as a location just two mile from the airport. The hotel is positioned within walking distance of the bustling live markets, restaurants, and shops of the Little Italy district. A short commute will bring guests to the San Diego Zoo and attractions like Sea World, the USS Midway, and Petco Park. The hotel features modern amenities and includes signature Sweet Dreams Beds along with complimentary high-speed internet access, in addition to warm cookies on arrival. 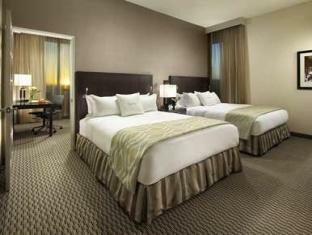 The DoubleTree by Hilton San Diego - Hotel Circle is ideal for travelers that want elegant accommodation in a prime location. Upgraded to a suite to accomodate our higher floor request. Die Hilton Honors Etage war recht gut, nur das kann ich beurteilen. Das catering der Conference (incl. Kaffee) fand im Keller statt, obwohl die Hörsaal im 2. Stock war ! Strange, oder? Everything was very old, feel very disappointed. Housekeeping kept knocking the door until you answer even "Do not disturb" sign was put on the door.